Y/VIDEO jack on the back of your TV. or Blu-ray Disc player, game station, MHL-enabled device, Roku Streaming Stick or camcorder? ARC, or DVI device for more information. How do I prepare my TV for wall mounting? protect the screen from damages and scratches. 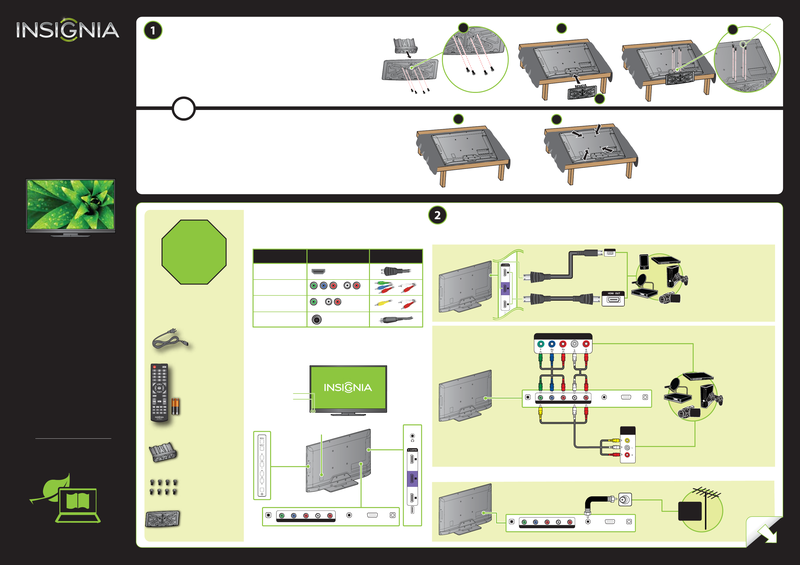 about how to correctly mount your TV. You’ll need: A Phillips screwdriver and a soft surface to lay the TV on. A Secure the stand column to the TV stand using the four provided screws. screen from damages and scratches. C Insert the stand column into the TV. D Secure the stand column to the TV with the four provided screws.